Large 4-bedroom, 3-bathroom lake-front townhouse on the corner lot! Great privacy with only 1 neighbor and large private yard area. The unit features a garage, washer/dryer room, and over 2,100 sq ft of interior space. This is one of the largest and best located townhomes in the community. Entrance is on the right side of the house. Agents, please see broker remarks. REDUCED! 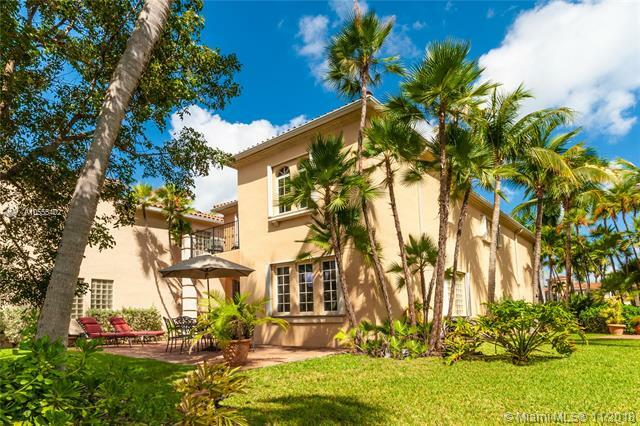 Beautiful, Barely lived in, single family home in desirable gated community Aventura Aisles. Located near Aventura Mall, I-95 and 441. Model Caymen of the Caribbean Series. Home with upgraded granite counter tops, stainless steel appliances, tile floors on the diagonal, wood steps, laundry room. 4 spacious bedrooms and 2.5 baths. 2 Car Garage. Master bath has granite countertop and dual sinks. High impact door and windows throughout the house. Cable, internet and lawn care included with HOA. Low HOA fee. Community has large heated pool, 2 playgrounds, walking/running track with exercise stations and 24 hour security patrol. Relax after a hard days work in front of your own lakefront view in this secure and quiet community. Furniture negotiable. Aventura Bay Townhomes: Aventura Bay Townhomes offer a community and lifestyle unlike others. The charming village welcomes you to your spacious home. You'll appreciated the architectural integrity evident at every turn << 10 FT ceilings with a soaring height over 15 FT in the Master Suite>< Arched Windows>< French Doors elegant trim and finish>< Three outdoor Balconies include a classic Juliet Balcony attached to a sitting or study area>> << Private Patio Yard>> The Most popular of the Aventura Bay Townhomes floor plans>><< It just feels right. Aventura Lakes: REDUCED FOR A QUICK SALE! A MUST SEE! 3/2.5 BEAUTIFUL FULLY RENOVATED HOME, BRIGHT, LOT OF SPACE! DESIRABLE GATED AVENTURA LAKES COMMUNITY! LAKE VIEW!! GREAT AMENITIES AS POOL,GYM,PLAYGROUND,24HRS SEC PATROL, MIN TO EXCLUSIVE AVENTURA MALL,CITY PARKS, GULFSTREAM, RESTAURANTS, WHOLEFOODS & STORES! 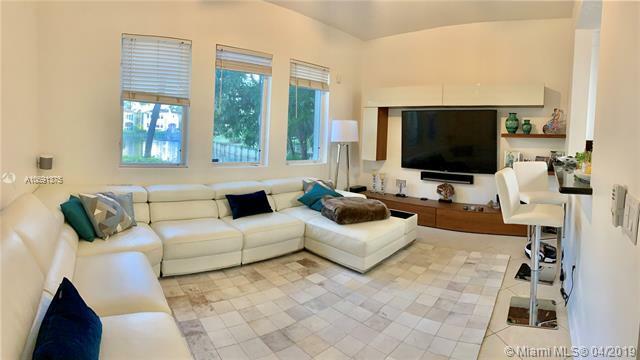 Aventura Lakes: Beautifully Maintained 3 Bedroom Plus Den (can convert to 4th bedroom), 2.5 Bathroom House in very Desirable Aventura Lakes. 2 Car Garage, Accordion Hurricane Shutters and a Newer AC System. Enjoy All of the Amenities & a Resort Lifestyle. Community includes: Activity/Toddler Playroom, 2 Story Fitness Center, Kids Outdoor Playground, 2 swimming pools and 24 Hour Security Patrol and Gate. Located within Walking Distance to Waterways Park, Tennis, Golf, minutes to Aventura Mall. Walking distance to Target, Whole Foods, the New Aventura Park Square w/ Starbucks, Fitness centers and Restaurants. A Rated Schools (ACES - Aventura Charter Schools, Waterways K-8 School) Aventura Charter High School will open in August 2019 just outside the back gate. Aventura Lakes: BEAUTIFUL AND ELEGANT TWO STORY HOUSE. MAJOR REMODELING COMPLETED FEBRUARY 2019. VERY BRIGHT AND SPACIOUS, OPEN MODERN STATE OF THE ART KITCHEN. NEW FLOORS THROUGHOUT.TWO CAR GARAGE. AVENTURA LAKES COMMUNITY CLUBHOUSE AND AMAZING SWIMMING POOL. Aventura Lakes: LOCATION!!! Remodeled turnkey waterfront home offering a combination of comfort, contemporary and luxury all in one. Rare find, a single fam home in Aventura. Large, 3 beds + office/bonus room, 2.5 baths. Features include, high ceilings, open layout, Custom eat-in kitchen with granite counters & lrg breakfast bar. Stainless steel appliances, 2 car garage. Accordion hurricane shutters thru-out. Built on a premium, corner lot with serene water views. Aventura lakes is a family, secure, gated community. Enjoy all of the amenities & resort lifestyle. Ready for new owners; just bring your belongings. Close to shops, restaurants, grocery, & mall. Close to beautiful beaches. A+ schools. Brand new charter high school opens 2019. Only home at this price with these finishes. Also available for rent. Aventura Lakes: Location!!! Aventura Lakes. Beautiful Home, 3 bedrooms, 2 1/2 bathrooms. Kitchen completely renovated open concept, all stainless steel appliances, marble floors. Views to the lake, bright. The gated community offers 5 star resort style in the heart of Aventura Lakes Close to everything, schools, shopping, hospitals,highways. 24 hours security. Make this house your home!!!!! Aventura Lakes: Beautiful house in Aventura Lakes, 3 bedrooms, 2 and a half bathrooms. Beautiful view of the canal from the master bedroom and the family room. The house has many upgrades as french doors, kitchen with granite counters, back splash, new appliances, accordion hurricane shutters, porcelain tile floors downstairs and laminate woodfloors upstairs. The house is also upgraded with lighting fixtures and ceiling fans. Extra large front yard and guest parallel parking. There is no homes across the street and the facing west backyard is shaded in the afternoon. WE ARE OFFERING A VERY SPECIAL EXTRA BONUS TO THE SHOWING-SALING AGENT. Aventura Lakes: 3 BD / 2.5 BTH Home in Gated Prestigious Community, Aventura Lakes. Marble / Wood Floor throughut. Updates include Patio Extension Pavers, Plantation Shutter Window Treatments, Custom Closets and Surround Sound System in living area. Property located on largest corner lot at Aventura Lakes. You must to see!!! 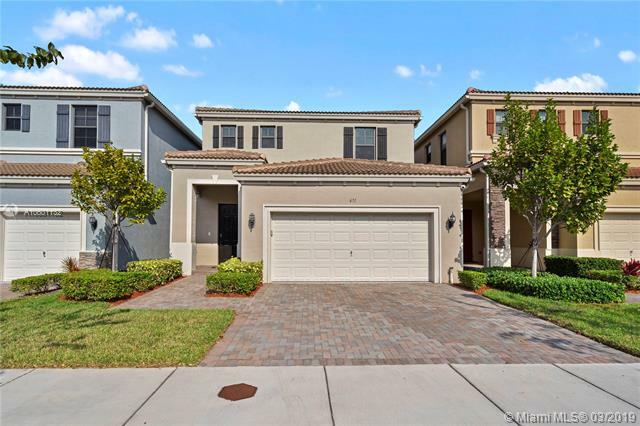 Aventura Lakes: Enjoy the lifestyle at Aventura Lakes at this 3 bedrooms 2 1/2 bath, with an additional den that can be used as office. Porcelain floors on first floor, wood on 2nd floor, kitchen and bathrooms upgraded , interior closet. Patio with water view. Don't miss this one!! Aventura Lakes: Experience a new level of luxury in this immaculate 3/2/1 in prestigious,gated Aventura Lakes.Porcelain and wood floors.Newly renovated master bathroom with soaker tub,quartz counters,wireless speaker rainhead shower.Laundry room upstairs.Tiled garage with utility sink,customs cupboards.Clubhouse,gym,jacuzzi, pools,play areas.Best school district,close to malls,beaches,places of worship. Aventura Lakes: WOW...WHAT A BUY IN AVENTURA LAKES! MOST DESIRABLE STREET, FAVORITE MODEL, AT BELOW MARKET PRICE. THIS HOME HAS MAGNIFICENT WATER VIEWS AND BOASTS A LARGER LOT THAN OTHER PROPERTIES. THERE ARE 3 BEDROOMS UPSTAIRS, PLUS DEN OR 4TH BEDROOM. DOWNSTAIRS HAS OPEN FLOOR PLAN WITH LARGE FAMILY ROOM (BEING USED AS DINING ROOM) AND UPGRADED KITCHEN WITH GRANITE COUNTERS. PART OF THE GARAGE HAS BEEN CONVERTED TO STORAGE/HOUSEKEEPERS AREA. EXTRAS INCLUDE SHUTTERS, TILE, WOOD, AND CARPETING, CROWN MOLDING, AND MORE. WONDERFUL COMMUNITY WITH RECREATION BUILDING, POOL, PLAY AREA, GYM, PARTY ROOM AND MORE. WALKING DISTANCE TO THE NEW AVENTURA HIGH SCHOOL! SHOW AND SELL! 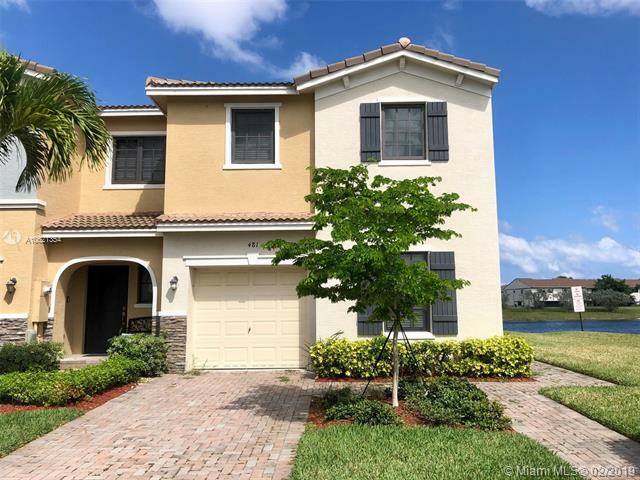 Aventura Lakes: Drastically reduced. Family home AND resort lifestyle! 2 story residence 3 bd/ 3.5 baths plus den, positioned in ample cul-de-sac with spacious backyard overlooking lake's fountain. Kitchen with luxurious cabinetry, granite tops and stainless steel appliances. High ceilings, moldings, marble, tile and wood floors, paved patio and balconies. Community includes: activity room, fitness center and 24 hour security patrol and gate. Located within walking distance to park, tennis, golf, minutes to shops, schools and beach. Aventura Lakes: GATED COMMUNITY 'AVENTURA LAKES" IN THE HEART OF AVENTURA. THIS SINGLE FAMILY FEATURES: TWO-STORY, MARBLE AND LAMINATE FLOORS, SS APPLIANCES, UP-DATED KITCHEN AND BATHROOM, PARKING FOR FOUR VEHICLES, FENCE PATIO, WATER FRONT, TWO BALCONIES IN A CUL-DE-SAC STREET. THE COMMUNITY OFFERS: CLUB HOUSE, 24 HOURS GUARD GATEHOUSE, RECREATIONAL CENTER WITH POOL, LARGE DECK, CHILDREN'S INDOOR AND OUTDOOR PLAY AREAS, TWO STORY FITNESS CENTER, PARTY ROOMS WITH GUESS PARKING, FINANCIAL STABLE COMMUNITY... THE CITY IS A SHORT RIDE TO THE BEACH WITH WORLD CLASS SHOPS, RESTAURANTS, SCHOOLS, PARKS AND ENTERTAINMENT. EASY ACCESS TO MAJOR HIGHWAYS, 20 MNTS FROM FT. LAUDERDALE INTERNATIONAL, AND 30 MIA AIRPORT, DOWNTOWN MIAMI AND MIAMI BEACH.